Shariah doctrine crushes women’s liberties. In 2009, Wafa Sultan published her story in a book that captures the drama and courage of her struggle for the freedom to speak against Shariah: A God Who Hates: The Courageous Woman Who Inflamed the Muslim World Speaks Out Against the Evils of Islam. She has become a role-model for all who support freedom of speech and religion, and especially to those who speak up for women’s rights and liberties worldwide. Visit her website here. Wafa and her husband and children immigrated to the United States in 1989, where she moved to Los Angeles, California and became a naturalized citizen. From the time of her arrival she begun to contribute articles to Arabic publications in the United States and published three books in Arabic. 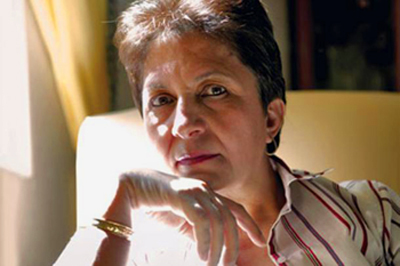 In 2009, Wafa founded a group for people who have left Islam – Former Muslims United – along with Nonie Darwish and several other authors and experts nationwide. She continues to publish and to speak out nationwide against all abuses of Shariah law.